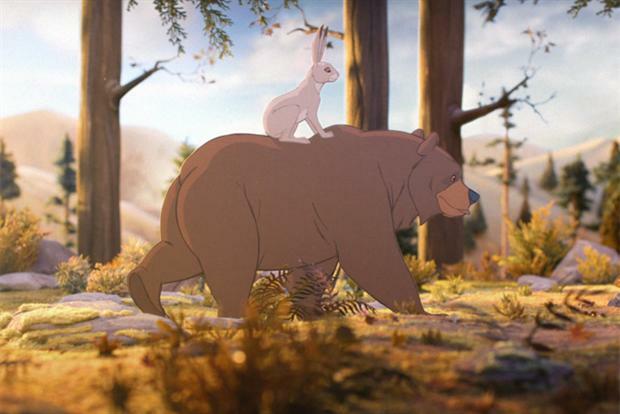 John Lewis' 'Bear and the Hare' TV ad has been voted "most-liked" Christmas campaign by a retailer, according to a poll by Marketing. Marketing selected the Christmas ads of ten major retailers, including the UK's "big four" supermarkets, to find out which the public liked most. The department store's campaign, by Adam & Eve DDB, topped the survey. Nearly half of all respondents declared that they "like" John Lewis' latest campaign, with Sainsbury's 'Christmas in a Day' push in second place, a distant 11 percentage points behind. Morrisons' ad starring TV presenters Ant and Dec completed the top three, while Asda's price-focused campaign finished bottom of the pile, with only 14% of those asked agreeing that they "liked" the ad. Adwatch prompted advertising-awareness research was conducted from 3 to 5 December 2013 by TNS as part of its twice-weekly OnLineBus omnibus among 1000 adults aged 16-64. For details of the survey, contact Anita.Emery@tnsglobal.com (020 7656 5900). Ads were compiled by Ebiquity (020 7650 9700) and Mediaedge:cia UK (020 7803 2000).